After 15 years of intense use, the audio system at the Courtyard was due for a refresh. 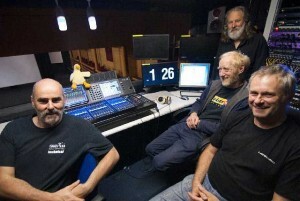 With funding available, the venue’s production manager Carl Hulme took the time to choose equipment that would take the venue far into the future, without the need for further significant investment. Carl needn’t have worried because, in the Yamaha CL series, just such a solution is available. Delivering all the processing power of the top-of-the-range CL5, the CL3 is ideal for regional values where a more compact footprint and smaller channel count are suitable, but the investment has to be for the long term. The console was supplied by SSE Audio Group, together with a pair of R-series i/o units - a Rio3224-D in the venue’s control room and an Rio1608-D on stage. Another factor in Carl’s choice of the CL3 was the large format analogue console which had served the venue since its opening - digital mixing would be a new experience for some of his technical team. “Having looked at a number of desks, the CL series impressed us with it’s ease of use and flexibility,” he says. “For those who’d only experienced using analogue desks before, the transition was painless and all-but foolproof. And with the Rio units integrating seamlessly into our existing infrastructure, the changeover to an all-digital system was incredibly smooth. In picture: Richard Loverage (resident sound technician), Yellow Duck (honorary sound supervisor), Dave Woods (freelance sound technician) , Carl Hulme (back, production manager), Paul Linscott (freelance sound engineer).